The Wars of Pooch: Royal Artillery reporting! 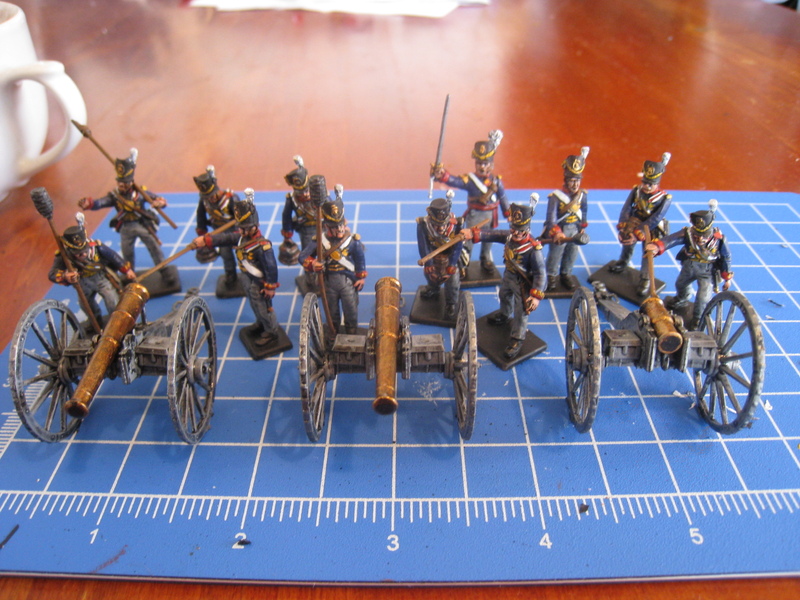 Well, I finally managed to get some painting done, so without further adieu, here is my foot artillery battery. 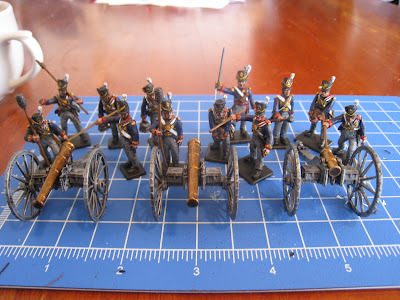 The entire battery, 2 9 pdr guns and a 5.5 inch howitzer, along with their accompanying crew. 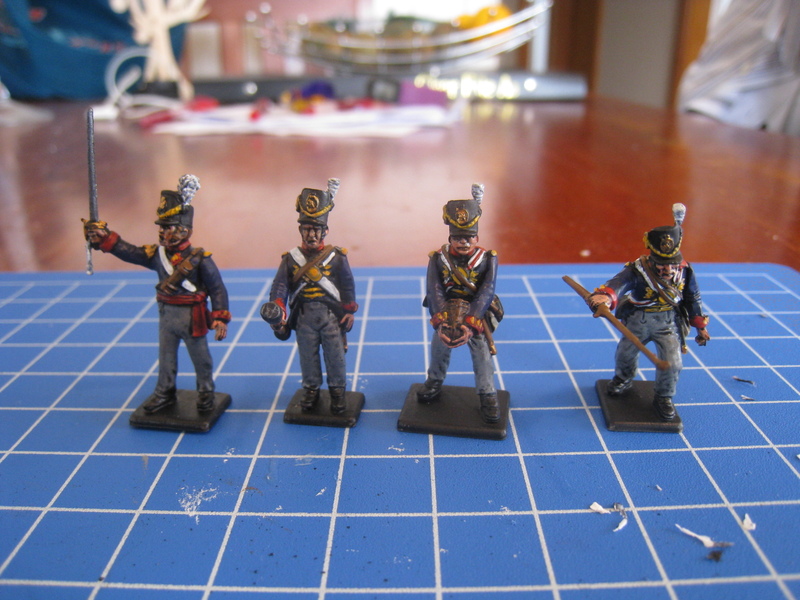 The howitzer crew, along with the battery officer. These guys have impressivly colourful uniforms, red, yellow blue and white. 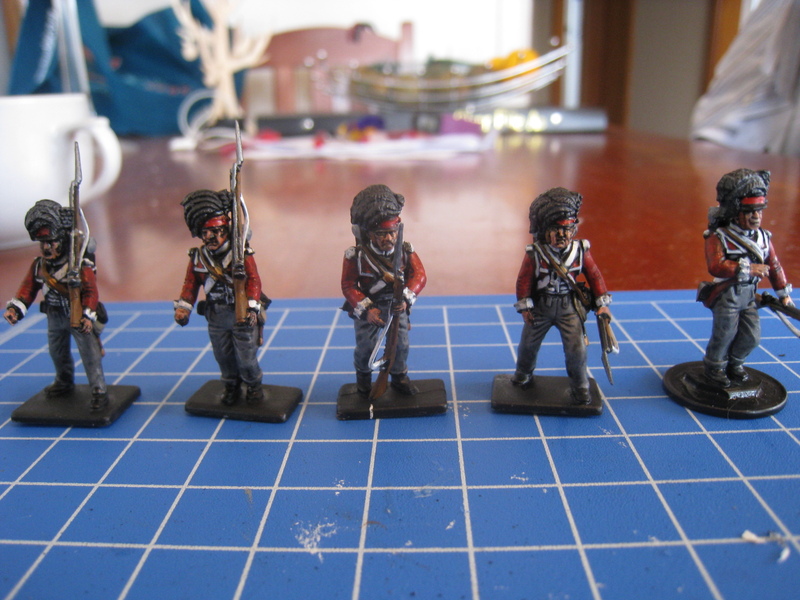 Yellow is my nemesis as a colour, but the yellow on these chaps was not too painful, perhaps I will be able to do the 88th with their yellow facings? 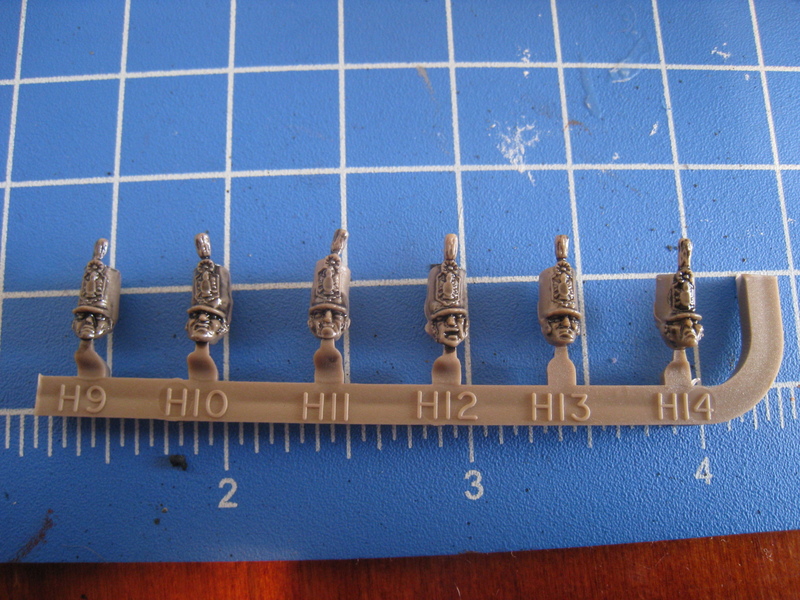 These are some of the Victrix artillery heads, the one on the extreme right is a good example of how some of them just look... weird... I am definilty more fond of Perry, simply because of the faces! 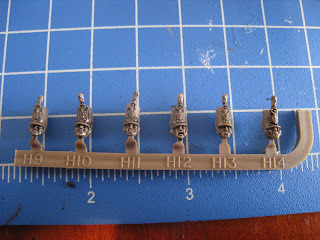 Might even get them finished tommorow, since I am working the rest of the week. I really do need to look into my photography too, but not right now.